The most sought after boulevard in the AWARD WINNING community of Garrison Woods! 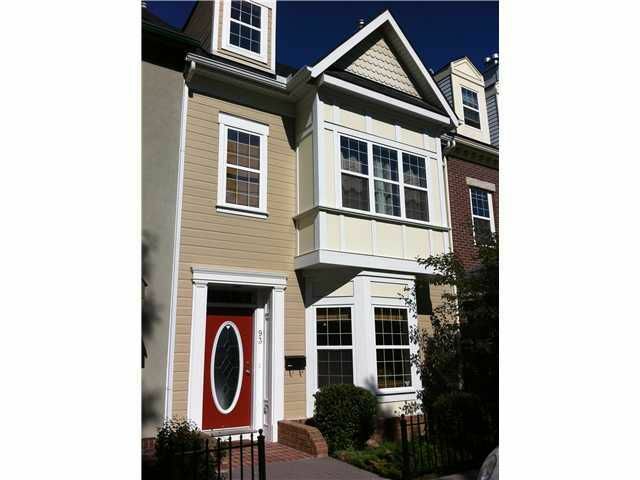 This beautiful one-of-a-kind townhome is the ONLY 2 story on the Blvd! At almost 2200 sq ft developed,it features 2 bedrooms, 2 and a half bathrooms,a kitchen nook,dining area,living room,office, family/media room and a laundry room. The upper level houses the large master with a huge 5 piece 'cheater' en suite,the laundry room and a large second bedroom. The main floor is an open plan,that walks out to a large WEST FACING PATIO, finished in HARDWOOD,ceramic tile and WIRED for surround sound with ceiling speakers. The kitchen is perfect for entertaining! Black appliances,GAS STOVE,GRANITE,maple,a 4 seat BREAKFAST BAR and tons of storage!The finished basement is very functional,with DARK stained,durable CORK flooring,full, GRANITE WET BAR,CUSTOM BUILT desk,recessed lighting and a gorgeous 3 piece bath with HEATED FLOORS. Ideally located within walking distance of urban PARKS,STARBUCKS,Safeway,great boutiques and restaurants!